t's been a while since I've shown you some junking finds. These were found last fall...from two of my favorite Minnesota occasional sale vendors!! 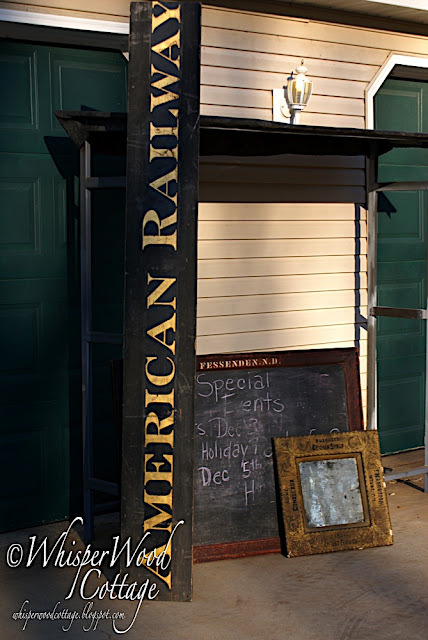 The sand-casted American Railway sign, the depot chalkboard, and the gesso advertising mirror...each of these three pieces is too fabulous for words. This sign dates between 1917 (when the American Railway Express was formed) and 1929 (when the company changed names). The sign is sand-painted. I'm not sure of the process, but it has a fabulous texture. The edges above and below the words are angled in, and the black and gold is very striking. I'm completely smitten with it!! 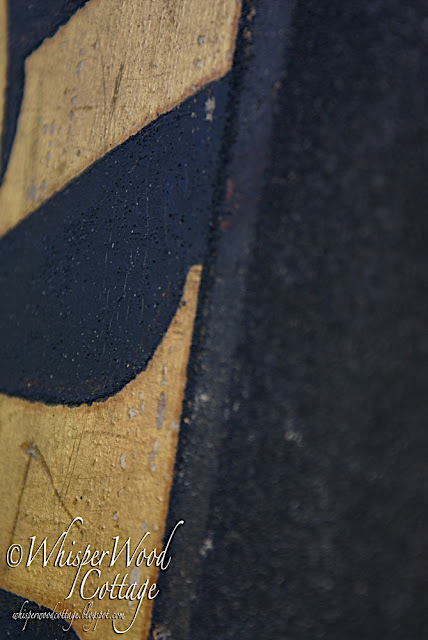 The warmth and patina of this chalkboard is yummy! I was told it was from some kind of depot in Fessenden, ND...train depot maybe? I don't remember what she said!! (UPDATE: I did a web search and learned that the Soo Line Depot in Fessenden closed in 1969. Perhaps it is from that depot!) The chalkboard part is an actual piece of slate. Heavy!! Here are a couple close-ups of the gesso advertising mirror. It has a different advertiser on each side of the frame. The floral and textural details on this piece make it extra special. The mirror has found a home in the master bedroom redo. I'll be sure to take some photos soon! The placement of the railway sign and chalkboard are still being debated. I haven't narrowed down the best options yet. They will find their way to the perfect spot eventually! LOVE the railway sign!! You have such a good eye for finding the best junk. Love your style! :) Hope you & the fam have a great weekend! I loved the frame on the mirror. What wonderful finds. I'm ready for some good finds. I absolutely LOVE the Railway sign! 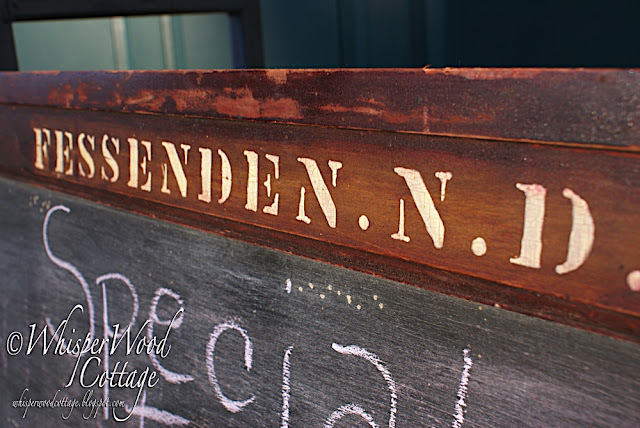 I've been searching for old signs like that to put up on the walls in my living room where the ceilings are so high! Enjoy it! Drool... the sign. Oh my goodness, the sign... speechless. That advertising mirror is fabulous! It has such beautiful detail..... yummo! OMGosh love the sign. 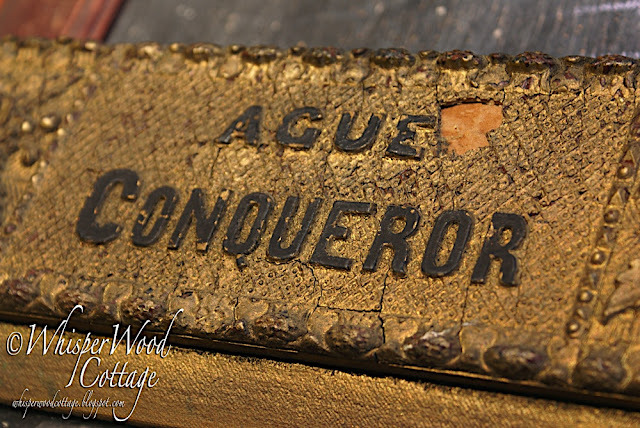 Don't want ot touch this post with the word junk, you found true Americana treasures. 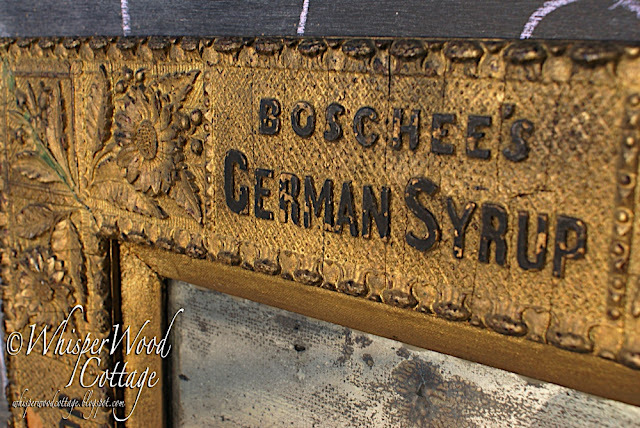 I can see the German Syrup advertising mirror hanging in my house. Oh, oh, oh...I know the perfect place for the sign and the chalkboard...MY HOUSE!!! I'd take them all and very gladly. I mentioned on your FB page too...Fessenden is only about 20 miles from my house!! There was probably a depot or something there back in the day but it's just a small town now. Great finds!!! Hi Amy! Thanks for stopping by my blog and leaving me the link on those benches!! They are so awesome! I'm not sure yet if the powder coating will hold up to water, but I am checking into it. $99 is an awesome price for the two benches. ;) Yay! Btw, you have such an amazing eye behind the camera! 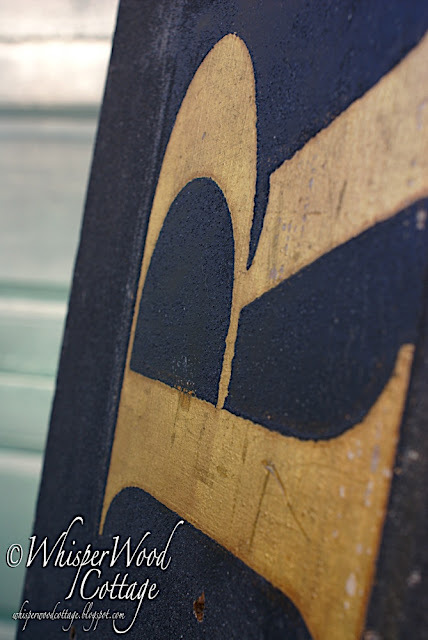 I really enjoy the artistic way you snap your junkin' finds. Love love love the railway sign. My husband works for the railroad and he would get a huge kick out of it. wow, what great finds, I want them!!!! I love them!! That railway sign is my favorite!!! What great finds!! Can't wait to see how you use them.